"This scent is uplifting but warming at the same time. I love burning this candle in the early afternoon on the lead up to Christmas!" Hope you're all doing really well? Now it's no secret that the past few years have seen me turn into a bit of a candle-aholic, so I thought why not combine some of my favourite festive scents into a Christmas Gift Guide for you lovelies! This post has not been sponsored of paid for in anyway and it really is just me recommending some of my favourites. Candles make such amazing gifts as they are relaxing, luxurious and make your personal space smell great! I've added a great mix, so there will be something for everyone and these are all candles I have tried myself. I hope you enjoy this gift guide and I would love to hear from you in the comments section below! Don't forget to use my social media icons if you would like to get in contact a little quicker. 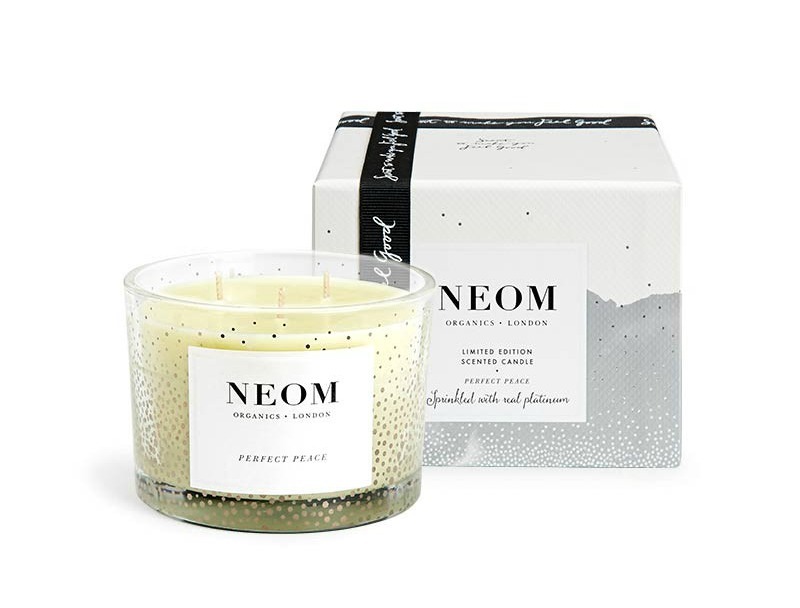 I'm sure most of my readers will know that NEOM are one of my favourite brands for candles and lifestyle products. Their limited edition 'Perfect Peace' candle is a modern twist on traditional festive aroma's and uses 25 of the purest possible essential oils including pine, myrrh and lime peel, which have been expertly blended to lift your mood, whilst filling your space with a sense of calm. I adore this candle and it reminds me of a crisp winters walk through the woodlands. The packaging is also amazing and this candle is sprinkled with real platinum, which makes it a great luxury gift option! The Jo Malone Pomegranate Noir Candle is described as having the sensuality of a daring red dress (which I have to agree with) It's a very deep scent, which may not be for everyone, but notes of rich pomegranate, raspberry, plum, pink pepper and spicy woods make this an enigmatic fragrance. It does become extremely addictive. It's an extremely opulent candle, which would truly make a luxurious treat for someone who loves deeper and more sensual scents. I was lucky to work in an Elemis Spa for over a year and had the joy of smelling this candle on a daily basis (It's truly beautiful). Elemis only release this candle during the festive season and the amount of people we had trying to buy this throughout the year was insane. 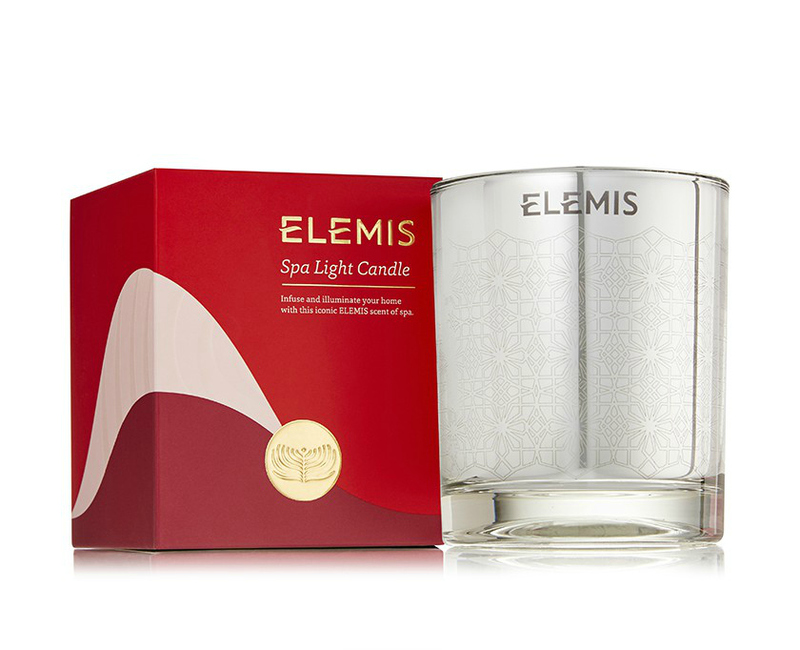 The Spa Light Candle has notes of Vanilla, Orange and Cinnamon Spice, which makes it a great festive all rounder! 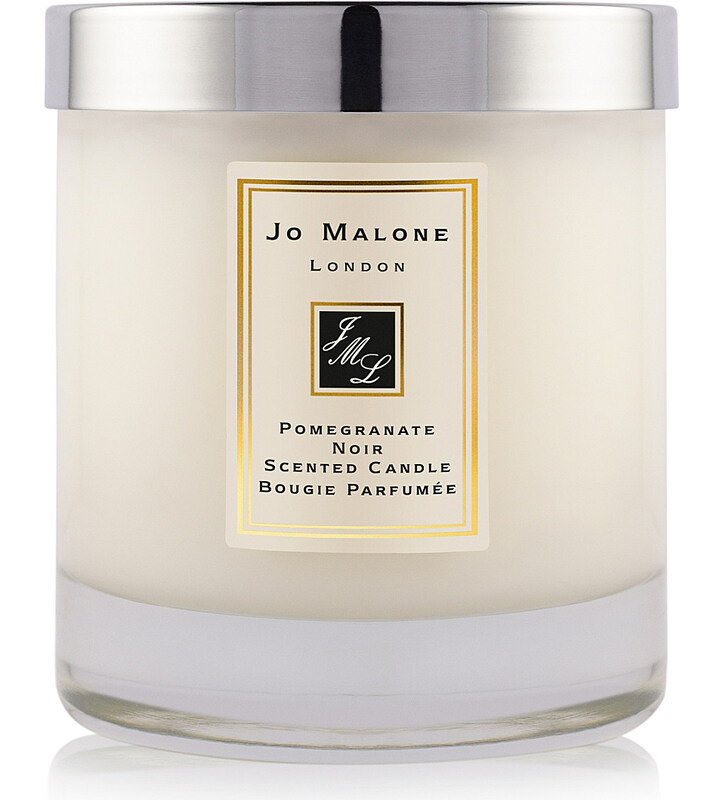 The packaging is also beautiful and I think for £25.00 you get an amazing candle with a very versatile scent. I can't imagine anyone not loving this candle! If toasting marshmallows is your kinda thing, then Fireside Treats is a must. This scent manages to be sweet, without being sickly and has a real warmth to it. You can definitely have fun with the Yankee range, as there are so many festive options! There will be something for everyone. 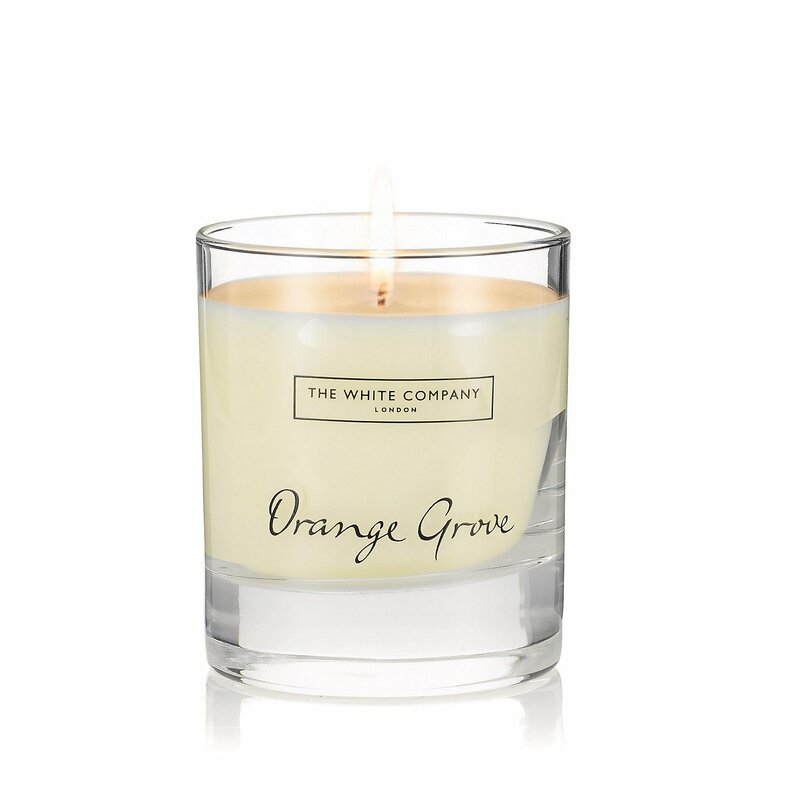 I find always Orange scents so festive and The White Company Candle in the scent 'Orange Grove' is the perfect combination of fresh orange peel, green leaf and the woody richness of vetivert. This scent is uplifting, but warming at the same time. I love burning this candle in the early afternoon on the lead up to Christmas! The White Company also provide beautiful gift wrap options, which would make this a fabulous gift. I really hope you have enjoyed this post and hopefully it has given you some gift inspiration or even a little inspiration to treat yourself! As bloggers we are also enablers ha! I'm a big yankee candle fan personally, but I have been lacking them in my life recently, it's funny because I was having a discussion only last week about digging out my collection! 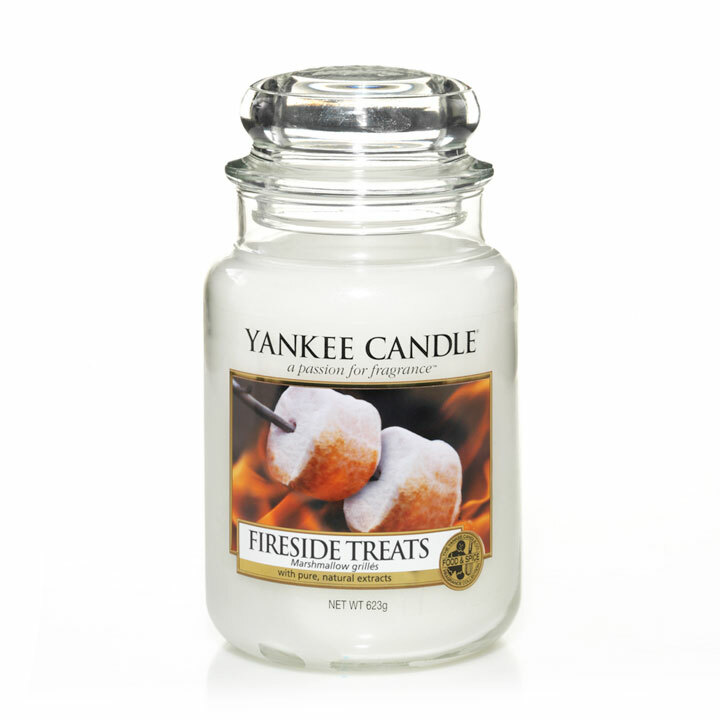 I love a yankee candle, that fireside treat one sounds so yummy! Will have to give it a sniff.